You’ve probably seen the term “gray divorce” appear in news articles and headlines—it refers to those who decide to divorce after age 50, sometimes after they’ve been married for 20 years or more. 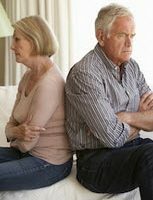 Just in the last 25 years, the divorce rate for this older group of Americans has more than doubled, and is now represented by one out of every four people going through divorce, where more than half of them have been married for more than 20 years. Why is this the case? Seniors are living longer and engaging in more activities, such as travel. If you did not enter into a prenuptial agreement before your marriage, strongly consider doing so before you contemplate remarrying, as your financial considerations will, once again, change. When it comes to receiving the very best in divorce advice, don’t take any chances, contact our Boca Raton and Coral Springs divorce attorneys at HVW Law Group to receive knowledgeable legal advice.